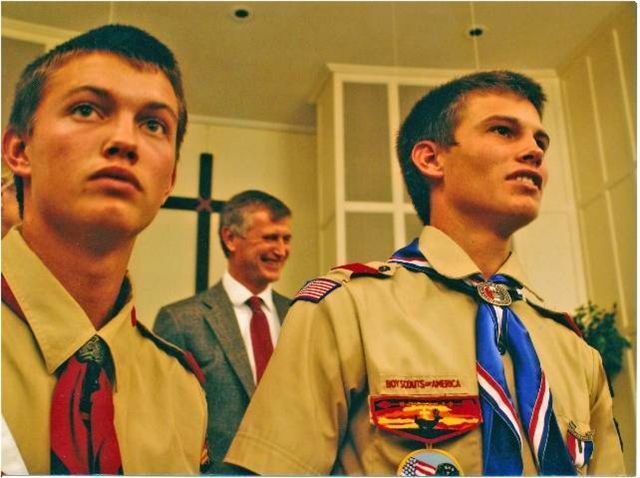 This page is dedicated to the memory of Taylor Nunley, a 2007 Eagle Scout, and an Assistant Scout Master with Troop 81 of Uvalde who met an untimely passing on July 28, 2012 along with his brother Thomas Nunley. This Memorial for Taylor, along with the list of donors noted below, was prompted by Taylor’s parents Dana and Robert “Bob” Nunley, Jr. of Sabinal because of Taylor’s love for Camp Fawcett. Camp Fawcett, unlike Camp Sol Mayer generates no income for camp maintenance and improvements, so the financial burden of maintaining Camp Fawcett has always fallen on the Council, which it does not always have extra income to offset camps in conjunction with other operations. All maintenance, at Camp Fawcett in years past has always come from volunteers. Improvements are defined as keeping Camp Fawcett rustic, but also functional by keeping facilities properly maintained. These donations will help facilitate maintenance and improvements. Summer Camp will be held at Camp Fawcett in June 2013 in memory and in honor of Taylor and Thomas Nunley and is the first time summer camp has been held at Camp Fawcett in over a decade and is directly due to the memorial donations to the Taylor Nunley Memorial. LONGHORN RECYCLING L.P. C & W FUELS INC.
SUZANNA GARZA ROYSTON DRISKILL FEEDYARD INC.
FRANK & ADELE JUNFIN MRS. GEORGE W. MCMURRY JR.